This webinar replay is for owners of growing lawn and landscape companies who want good, loyal and affordable employees. Questions? Comments? Special requests? Just fill out the form to the right, and we'll be in touch soon! We'll also send you the additional handouts! Building your team starts with the basics, and I can show you how to build a dependable crew in just 12 weeks. Employees that are offered solid training programs become better employees who will stay with you longer. Members of the Super Lawn Toolkit have recently received 12 weeks of employee training materials, and on this webinar, I will give you a sneak peek of these materials, and show you how to implement the 12-week employee training system. Join me as I walk you through how to put together a simple, yet top-notch training program in your company! Tony Bass has been an entrepreneur since 1987. He is the Founder & CEO of Super Lawn Technologies, which provides lawn & landscape contractors with tools to increase productivity. Tony has written seven books, including co-authoring The E-Myth Landscape Contractor with Michael E. Gerber. 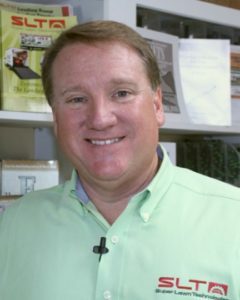 He bases his counsel on 25+ years of green industry experience, which includes founding, growing and selling his initially small landscaping business for a seven-figure profit. Tony is on a mission to teach 10,000 lawn & landscape business owners how to double profits in 12 to 24 months.